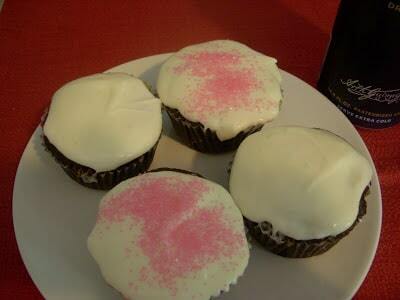 After realizing alcohol in cupcakes is amazing (see red wine cupcakes), my mind started working overtime. What else could I do? What other alcohols could I involve? Then I realized the only logical next step. Beer! But beer in a cupcake? Would it work? I immediately thought that Guinness would be the best bet. And when I looked online, I saw that others had the same idea. And since it looked like it worked, I of course had to try it. I loosely followed a fabulous recipe I found at Big City, Little Kitchen, but changed it up a bit. 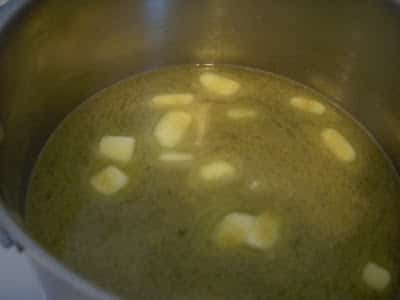 First, chop your butter into little pieces and melt it in a saucepan over medium heat along with the Guinness. 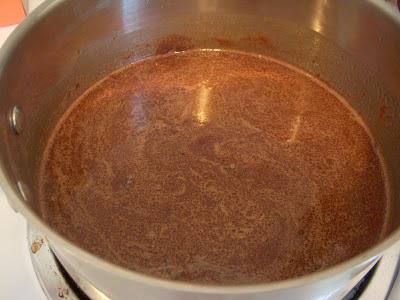 Once it’s melted, remove the pan from the heat and whisk in the cocoa and sugar. In a separate bowl, whisk together the sour cream, eggs, and vanilla. 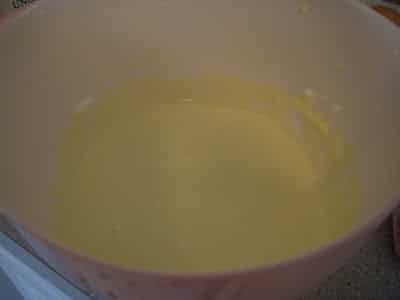 Add that to the beer and butter mixture. 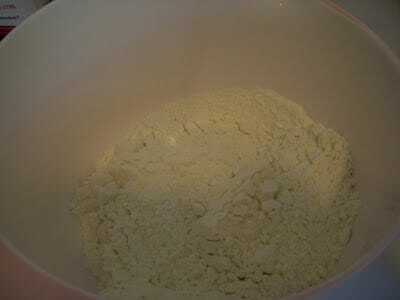 In yet another bowl, sift together the flour and baking soda. 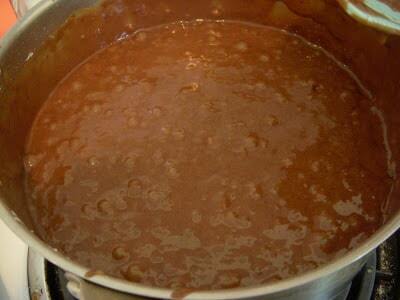 Fold that into the chocolatey/buttery/Guinness mixture (doesn’t that just sound amazing? 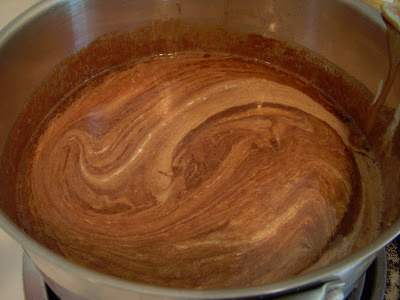 The mixture was a little lumpy, so I stirred as much as I could to get rid of as many lumps as I could. It still wasn’t perfectly smooth, but it definitely didn’t matter in the end. 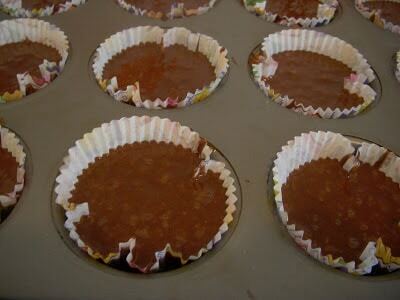 Bake the cupcakes at 350 degrees for about 20 minutes. Let cool completely. Now for the frosting. First let me take a moment to tell you how obsessed I am with those little milk chug bottles (you can see it in the first photo). I never buy whole milk, so when I need 3/4 cups for a recipe like this, these bottles are awesome because I don’t have to waste much. It’s the little things, people. Anyway, for the frosting, I made a pretty typical cream cheese frosting. The recipe I was following was for more of a glaze, which I didn’t like, so I kept adding more confectioner sugar to make it more “frosting-like.” Next time, I would use less milk too. 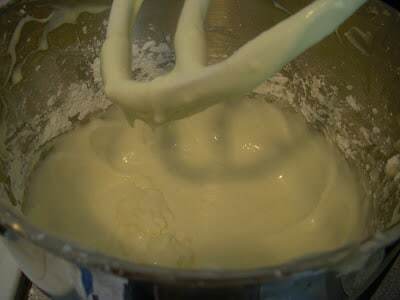 In my mixer, I whipped together my cream cheese until it was smooth, added in some of the sugar, added the milk, and continued beating. And then I added more confectioner sugar until it was more of a consistency I liked. And then I frosted them! And quickly realized I desperately need some cupcake decorations that aren’t pink. Because pink sprinkles on top of beer cupcakes just didn’t seem right. I briefly considered adding some green food coloring to the frosting, but that just seemed way too St. Patrick’s Day for me. 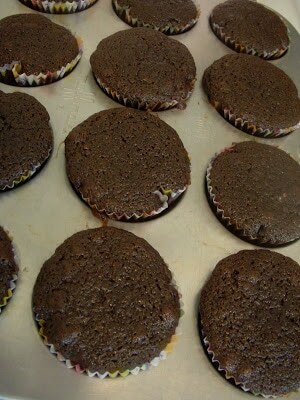 And like the red wine cupcakes, the Guinness cupcakes were also fabulous! I had some beer experts tell me so. Not to mention, even my non-beer liking friends also loved them. Much like the wine cupcakes, the alcohol taste was subtle. Definitely there, but subtle. 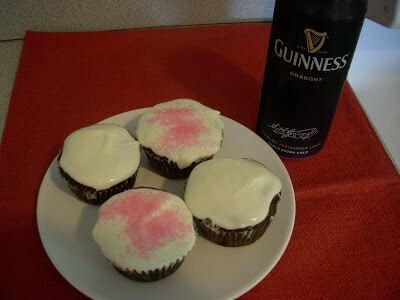 And because Guinness already has a bit of a sweet taste to it, it was the perfect compliment to a cupcake. 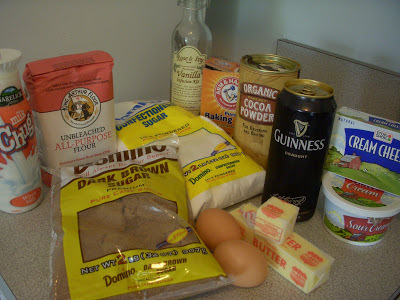 26 Responses to "Guinness Cupcakes"
I think I remember that you are in Boston, is that right? Last week I went to Kickass Cupcakes in Davis and they had three different kinds of cocktail-inspired cupcakes. There was a Singapore Sling (gin cupcake with a cherry baked inside and grenadine icing), Amaretto (chocolate cupcake with amaretto and almond icing), and, my favorite, the margarita (lime cupcake with Triple Second icing with just the tiniest bit of lime peeling and salt on top). I was certainly inspired! These cupcakes look delicious! Guinness + chocolate is always a good combination! My friend made margarita cupcakes for Cinco de Mayo and they were AMAZING. You should definitely try those! I'll be trying these cupcakes very soon! 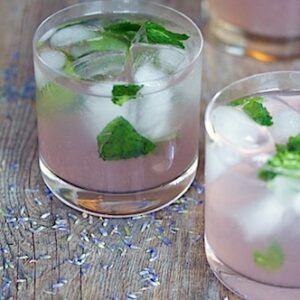 I made mini-versions of these for my family for Christmas Eve (we like our booze, what can I say?) and needless to say they were devoured in seconds. BUT! The part about them, is if you switch them from just plain old Guiness cupcakes, to Irish Car Bomb Cupcakes. All you have to do is mix a little bit of Jameson + Baileys into the frosting concoction and it adds just that little bit more of a flaaaava. So tasty. And they go over well at my bar when we make them sometimes, haha. What is it about cupcakes. Looking at them makes me smile every time. why do you always blog about cupcakes? I am so making them this weekend! My go-to summer/alcoholic cupcake recipe is pineapple upside down cupcakes with coconut rum buttercream frosting. They are orgasmically delicious…just boozy enough that you get the taste of the rum and oh so yummy. These sound and look really tasty! I like the idea of using beer for cooking so I’ll give these a try. I work for the BitterSweet Partnership in the UK, which was set up by Molson Coors to address the fact that the UK beer industry has traditionally ignored women. 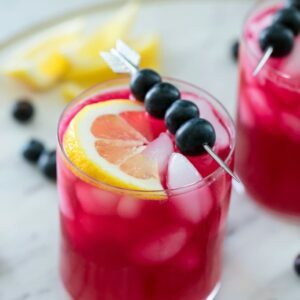 If you’re beer fans, take a look at our website (www.bittersweetpartnership.com/experiment) as we recently developed some recipes for beer cocktails – would love to know what you think. Although i haven't made these in cupcake form, I did make a guinness cake once and it was great so I'm going to bookmark this! HA you & I are on the SAME kick… gotta save those calories when you're a Lush, might as well put them in the cupcakes. This weekend my girl & I are making Bellini & Pomegranate Martini ones, I'll tell you how they come out. These look fantastic! I totally agree about the Irish Car Bomb ones I'm so stealing those, I may try that this weekend also. Whenever I make these, I dust them with cocoa powder. It comes out super cute! And krystle lynne has had my carbomb cupcakes. I can't really remember which one of us came up with the idea, but they're even more delicious than the regular Guinness cupcakes. I do have one little trick with the Jameson, though. When the cupcakes (or cakes, I am a St. Patty's Day baby, so I made a cake version as my birthday cake) come out of the oven, I put some Jameson in a spray bottle and spray the cupcakes a bit. I found that my cupcakes/cakes were coming out a bit dry and by spraying them with Jameson, they turn out super moust, and in turn, super delicious! if you liked these, check out the guinness cupcakes with jameson ganache center and bailey's frosting on smitten kitchen's blog. Oh my goodness, SO not a Pyscho don't know why my comment posted 3 times… hahaha! Oh my goodness!! 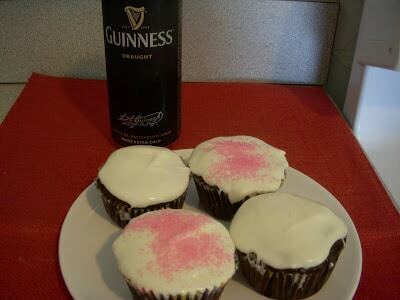 Guinness cupcakes?! They look delicious! I was looking for a NYE cupcake recipe, and stumbled upon these. 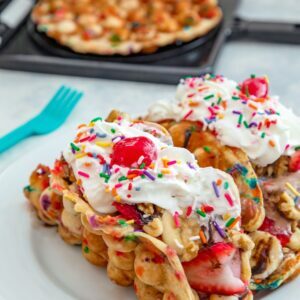 Definitely on my list with a Bailey’s buttercream frosting! YUM! These are perfect for St. patty’s day! I love making cupcakes. I have made them with Baileys, egg nog ones with rum and even bananas foster with rum! Cupcakes with alcohol are great! 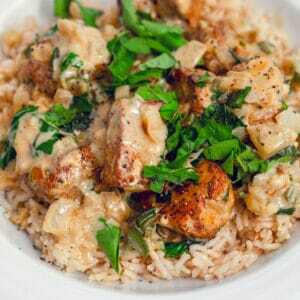 Aim going to try your recipe for St. Patty’s day!